Home » Divination » What Is A Wicca Esbat? What Is A Wicca Esbat? Esbats are an element of modern Wicca/Witchcraft and related lunar and solar based religions. They are significant as they are tied to the lunar cycle, as is the goddess figure of these religions. It is worth noting that like the menstrual cycle, the cycle of the moon is 28 days in length, and this plays no small part in why the moon is associated with the feminine principle. 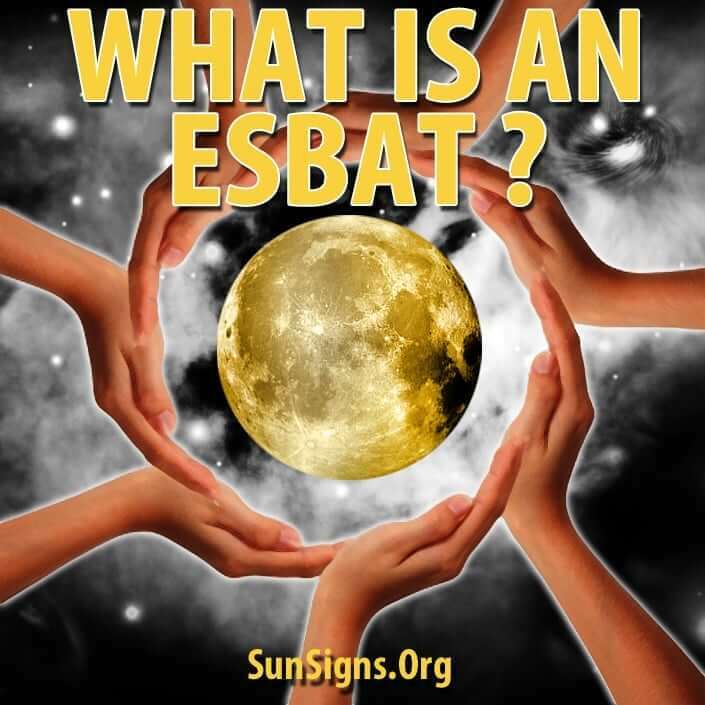 The term ‘esbat’ is used to specifically refer to the full moon of a given cycle, though it has also been used as a reference to any moon related ceremony. As such there has been an evolution of the esbat ritual in some traditions to include one for each phase of the moon. This results in some further contention regarding the ‘new moon’ phase, where there is no moon in the sky. During the Esbat it is traditional for the High Priestess in a coven to perform a ritual known as ‘drawing down the moon’. During this ceremony the priestess invokes the lunar goddess, meaning she ’embodies’ the mother goddess, and allows her to speak through her to the rest of the coven. In most cases, this is merely a Pagan ceremony consisting of memorized words, recited ritualistically through the ceremony. In some cases it is believed the Goddess will actually speak through her priestess to those who are present if there is some message that needs imparting. Acts of divination are also done during the Esbat, with the moon at its fullest point it is often thought that psychic powers are at their fullest. Casting of stones, scrying in a reflecting bowl (typically a silver or black bowl filled with water, the light of the moon is ‘caught’ on the surface, visions are seen therein), Tarot readings, or any other form of divination that the priestess or members of the coven may see fit, is done. In those traditions where each of the phases are observed for moon magick, there are at least two schools. The goddess figure of Wicca is a triple-goddess, the maiden, mother, and crone. These are associated with the first quarter, full moon, and third quarter of the moons cycle. In some instances there is thought to be a fourth face of the goddess, a dark or ‘hidden’ face, often associated with death. Due to the feminine aspect of the ceremony, it is not unusual for Esbats to only allow female practitioners to participate, though this practice is perhaps less common now than it once was. Has Friendship Turned to Love? 4 Magical Herbs And How to Use Them?